Canada has pledged to reduce our emissions as part of the Paris Agreement (2015). 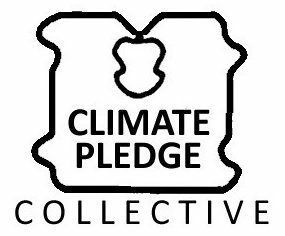 We also pledged to reduce emissions under the Kyoto Protocol (1997). While we have made some progress in lowering emissions — mostly by closing coal-burning power plants — so far we are not on track to meet our targets. The federal government has new policies — including a carbon fee and dividend — designed to bring emissions down further. The carbon fee will be applied to high-carbon fuels and the dividend will return the money collected to Canadians. If you burn more fuel than average, your annual costs will go up (until you reduce your emissions). If you burn less, you will see a bonus at tax time. Generally, low-income Canadians travel less and have smaller homes, so they burn less fuel and will see more money in their pockets. The plan also makes adjustments based on where you live and whether or not you have access to transit so that Canadians who can’t easily make changes aren’t punished too severely. The plan also includes carbon-intensity standards for fuels — meaning fuel companies have to find ways to reduce how much carbon is in gasoline (by mixing in ethanol for example). There are also planned investments and new regulations in areas like renewable energy and energy efficiency. The bottom line at the Federal level is that we are not doing our part. Being a cold country, we are dependent on natural gas to survive the winter so we need to put extra effort into adjusting building codes and retrofitting buildings. Passive houses are possible in Canada and a house with no furnace was recently built in Calgary. We also need to reduce our economic dependence on oil and gas — the Liberals’ decisions to buy a failing pipeline and bail out the oil patch in times of economic turmoil, instead of creating new green jobs undermine a lot of the good work being done through their other policies. We also continue to subsidize oil and gas companies through grants, tax credits and tax reduction. Doug Ford and the Ontario PCs recently scrapped the existing Cap-and-Trade program and plan to fight the federal carbon fee and dividend in court. In its place, they have released a new climate plan which is currently in a 60-day comment period. Toronto’s Climate Plan is called TransformTO and it aims to reduce emissions by 80% by 2050. This target is more ambitious than either the federal or provincial targets, but still not quite enough to keep up with what scientists are telling us. Toronto aims to make all new building ‘net-zero’ by 2030 and retrofit existing buildings to the same standard by 2050. The TransformTO plan is relatively good — unfortunately city council under John Tory isn’t giving it enough funding so it is unlikely be fully implemented. Those working on the plan requested $6.7 million in 2018, but they were only given $4.3 million. Another option for Toronto would be to declare a Climate Emergency like London England. This not only ensures that we put the funding and effort into our plan — it also creates a public declaration that we are in a crisis giving the media a new way of telling the most important story of our times. A small citizen’s group called MobilizeTO is already working to make that declaration a reality (but they need volunteers).